Evidence-based examination procedures and diagnosis-specific management strategies for the elbow, as presented by the IAOM-US. 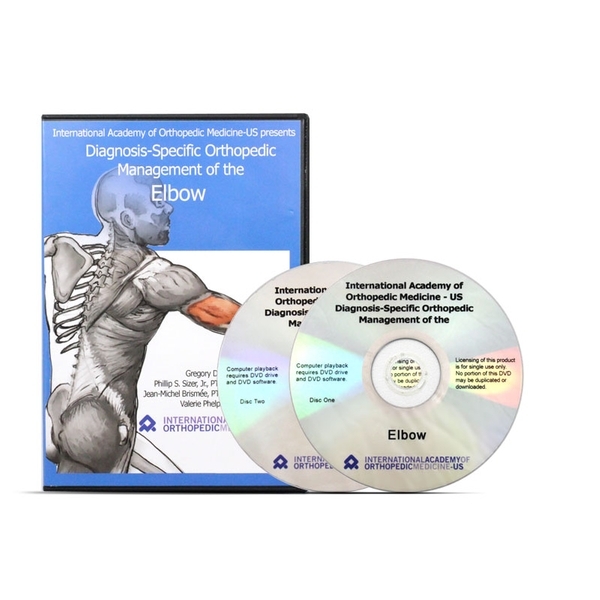 The International Academy of Orthopedic Medicine-US delivers this two-DVD set that details their systematic method of examination, diagnosis and treatment of the elbow. Suited for use in the home, clinic or school. DVD runtimes: Disc One – 1:54:07; Disc Two – 2:04:52.